Here you can find information on Australia’s native stingless bees. Read Stingless Bees FAQS for a response to the most common questions about our little friends. Also check out our Events page for a list of upcoming native bee related events such as workshops and seminars, and check out our Facebook page for regular updates. The most comprehensive source of information though, is our new book. You can also learn about and buy a range of stingless bee keeping products on this site, including a hive stocked with bees, empty hive boxes, tools, propolis, and more. If you need help with your bees, please see our Services page for ways that we can work together. 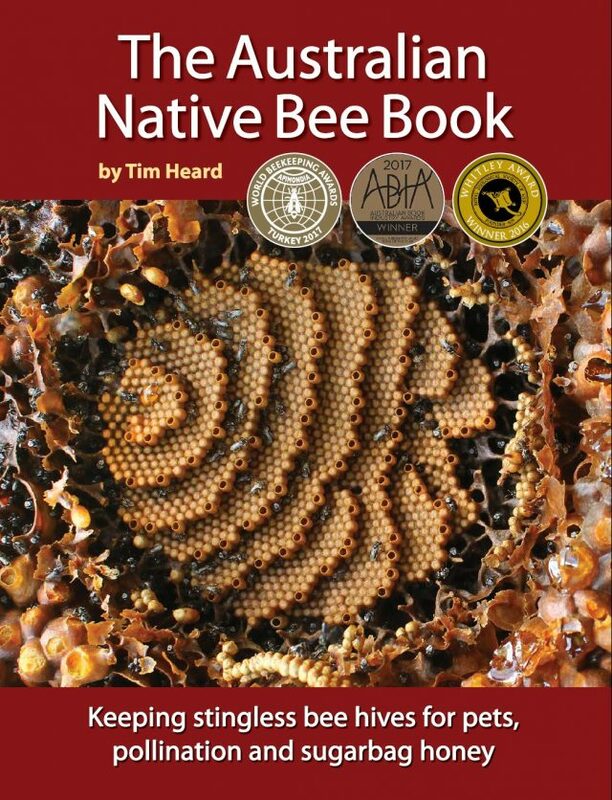 The Australian Native Bee Book describes native bees generally and provides a complete guide to keeping Australian native stingless bees. It is richly illustrated with over 500 photos, drawings and charts to increase accessibility and aid learning. It is written by an expert who has spent his lifetime intimately engaged with these unique creatures.